We (Rafflecopter widget) randomly chose the winner of the 100,000 Hilton Honors points giveaway that ended on Friday night. Three hotels and number of churches were hit on Easter Sunday with bombs around Sri Lanka. At the time of this writing, there are 140 or so casualties including a number of foreign nationals and 600 injured as reported by the local media. Shangri-La, Cinnamon Grand and the Kingsbury were the hotels targeted. There were no reported attacks at the two Hiltons in the city. No organization has claimed responsibility for these coordinated attacks. IHG Rewards Club has released new advance purchase offer for stays in India this summer. Members can save up to 20% by booking their stays in advance. The advance purchase requirement (in days) varies from hotel to hotel. Today’s Airfare of the Day goes to Turkish Airlines and their business class excursion round trip fares between Amsterdam and Bangkok. Marriott Bonvoy has launched a new bonus points offer with a discount for stays at participating hotels in Orlando. Members get 2,000 bonus points per night and save up to 20% off of stays booked using promotional code M11 and consumed by July 4, 2019. A LoyaltyLobby reader sent us a question regarding a KLM issued ticket from Los Angeles to Bangkok that includes two segments on now grounded Jet Airways. 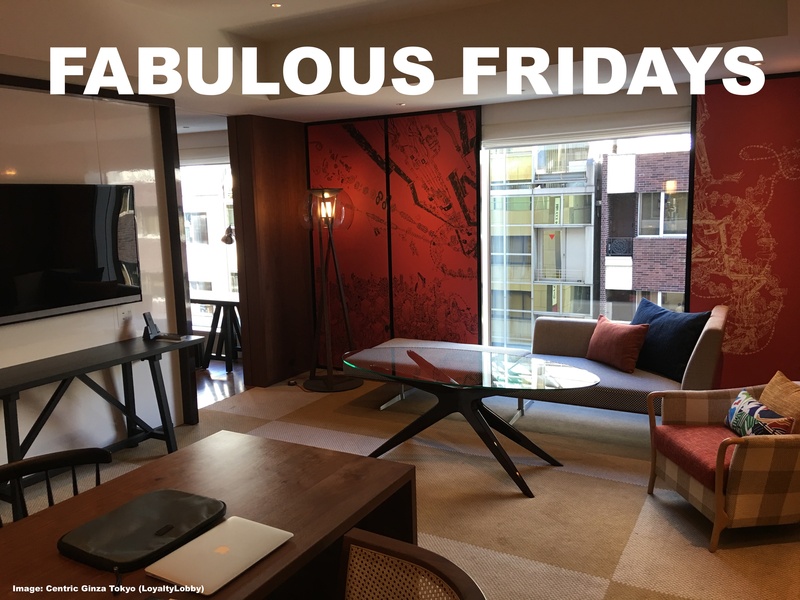 Our Fabulous Fridays topic this week is about hotels with proper, functional suites that allows guests to have a comfortable stay and even use the work desk if necessary. I’ve stayed at the Hyatt Centric Ginza a couple weeks ago and was really surprised about the nice layout and furniture they used for their standard King Bed Suite. Iberia Plus has launched buy Avios promotion that is valid for purchases made through April 24, 2019. Members can buy Avios at 50% bonus and the yearly purchase cap of 100,000 Avios has been doubled before the bonus (you can essentially buy 300,000 Avios). Hilton Honors launched a partnership with Amazon back in 2017 (read more here) that allows members to link accounts and use points for purchases. Over the past couple of weeks, there has been an increasing number of reports that account balances were fraudulently drained for Amazon purchases. Choice Privileges launched month ago a campaign to buy points at up to 50% bonus that is about to end. Members can buy up to 50,000 points every calendar year and you must buy a minimum of 30,000 points to get the 50% bonus. This sale will come to an end on April 22. Marriott Bonvoy has launched up to 40% off sale for stays at participating resorts in Mexico through December 19, 2019. The offer requires minimum stays that is not disclosed. You also must do the booking using promotional code by D3Q April 30.